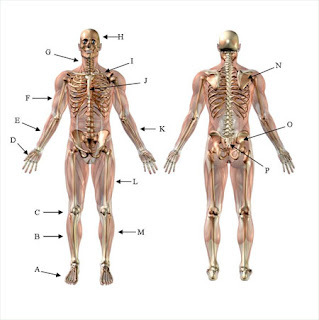 Fact Bank: HOW MANY BONES ARE THERE IN THE HUMAN BODY? An average adult has a total of 206 bones while a newborn has about 350 bones in the body. This is because some of these bones have bonded as we grow older. We have 28 bones in the skull, 1 bone at the neck, 26 vertebrae, 24 ribs, 2 fused bones at the pelvic girdle, 30 arms and legs bones and around 8-18 partial bones associated with the joints.